MobilityWorks is the nation’s leading provider of wheelchair accessible vehicles and other accessibility products. 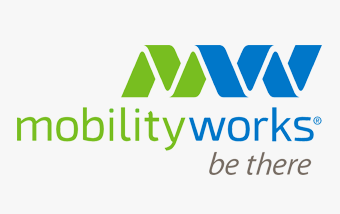 Founded in 1997 and headquartered in Richfield, Ohio, MobilityWorks offers adaptive vehicles and accessibility solutions to customers from over 70 locations across 24 states. With more than 1,200 employees, the business serves people with disabilities through wheelchair accessible minivans, full-size vans with lifts, and commercial fleet vehicles. The company’s TransitWorks division manufactures and distributes commercial wheelchair accessible vehicles.